As public editor, she pushed the Times to be the sort of newspaper that a democracy needs. Margaret Sullivan recently finished up her nearly four-year stint as “Public Editor”—read “ombudsman”—of The New York Times. Her tenure accomplished many things, most importantly the potential of web-based media reporting and criticism to combat the media establishment’s groupthink. Sullivan approached her work by reading the paper from the point of view of its consumers, rather than as a member of the club that produced it. She had been the editor of The Buffalo News, a small paper, which did not prepare anyone for her reinvention of the public editor’s role. Her intimate knowledge of the profession allowed her to see through self-serving explanations that masked how powerful media institutions like the Times cozy up to the powers on whom they report, compromising their ability to be democracy’s watchdogs. When, during her final week, I asked Sullivan how she had defined her goals during her tenure, she named three in particular: to orient her job toward “a two-way conversation” with readers; to make it “much more digitally oriented”; and to treat her own work as “reported commentary.” And her doggedness in the pursuit of all three would sometimes result in a rare and beautiful thing: the spectacle of our most influential media institution successfully held accountable to standards of fairness and common sense even when its journalists had failed them. While change came slowly to the paper, it did come. When I asked Sullivan what gave her the greatest pride, she noted that her four years at the paper had been “bookended [by] the banning of quote approval, and the tightening up on anonymous sources.” She thinks that these changes might have happened without her constant criticism, but I doubt it. On a less exalted level, she also expressed some pride in compelling the paper’s top brass to respond in real time to legitimate complaints from readers, including the paper’s (decidedly misguided) dismantling of the environment blog, its astonishingly sexist examination of Serena Williams’s body type, and, under the category of “reported commentary,” her success in getting former CIA director Michael Hayden to admit that “he can’t prove any harm to national security from the leaks on eavesdropping.” She is also pleased with the paper’s decision to take up her suggestion to hire a fluent Arabic speaker for its Jerusalem bureau (though again, as an independent actor at the paper who reported to none of the paper’s editors, she has no way of knowing just how important her own writing may have been in any given decision). Still, Sullivan can point to examples where her influence—and that of her reader-correspondents—was undeniable. In one particularly impressive moment, Sullivan passed along a reader complaint about a pundit roundup of a Democratic presidential debate in which every person quoted was a white male. “I am very disappointed The New York Times would, after a debate that focused on how black lives matter, that women aren’t paid equally, and even affirmative action, choose 11 reactions for this article that all came from white male pundits. No quotes from the black Twittersphere or feminist bloggers?” it read. “The internet is full of great writing” from diverse voices, and it shouldn’t be hard to find and include them.” Carolyn Ryan, the Times’s chief politics editor, immediately responded that she, too, found it unacceptable and would “make sure, personally, that it doesn’t happen again.” She also encouraged readers to e-mail the author of the piece with suggestions for inclusion in future round-ups. While she never took on the issue specifically, one can’t help but conclude from the balance of her reporting and commentary that the Times’s news reporting does not remotely match its reputation as a bastion of snooty urban liberalism. Snooty and urban perhaps—as well as, and I always feel a need to say this, the most ambitious, influential, and important source of news on the planet—but “liberal”? Not so fast. 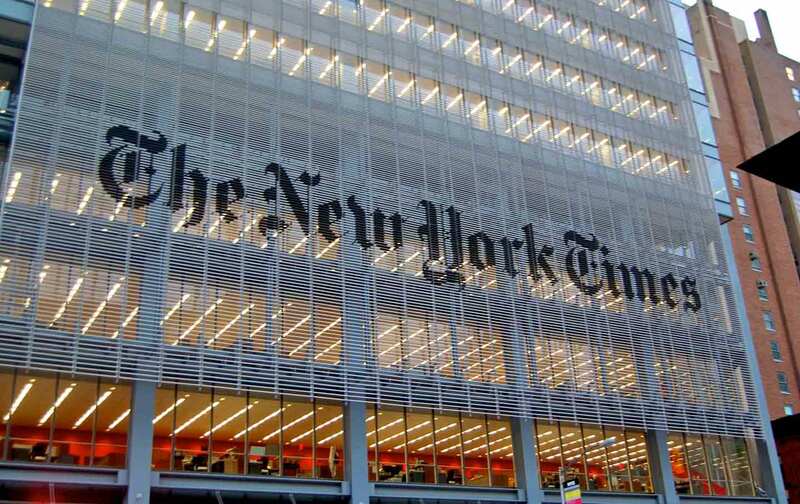 The excellence of Sullivan’s four-year focus on the Times’s institutional prejudices, especially its willingness to quote the wealthy and powerful in its pages without proper attention to their motives, provides an ongoing rebuke to the ill-considered proclamation of the paper’s first public editor, Daniel Okrent, “Is the New York Times a Liberal Newspaper? Of course it is.” A more nuanced reading of the paper would admit that, yes, the paper has a liberal editorial page. And yes, it tends to focus on issues of concern to its well-educated, well-to-do, socially liberal readership—one lusted after by its upscale advertisers. But many of its stories demonstrate a tendency to defer to wealth and power—whether emanating from corporate or official sources—that cannot survive even a moment’s scrutiny by someone willing to ask the right questions and demand honest answers. Sullivan’s four years is a model not only of smart, relentless web-based media reporting and criticism but also how to think about journalism’s role and responsibilities in an era of post-truth politics. As editorial staffs shrink to levels unimaginable just five years ago and consolidation continues to diminish the profession, it becomes increasingly easy for papers to dismiss the idea of a public editor or ombudsman as a luxury they cannot afford (instead of a hassle they would prefer to do without). But Sullivan’s tenure demonstrates that the job is central to the watchdog function of the press. Times editors and reporters may not have enjoyed the scrutiny to which she subjected them, but they can hardly deny the positive impact on both the quality of the paper’s journalism and its relationship to readers. Let a thousand public editors bloom!